Augmented Reality Star Wars Holo Chess is a new came coming to IOS soon. 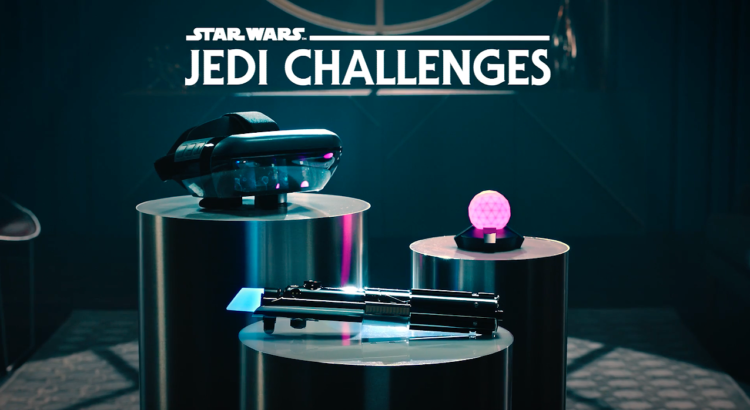 Jedi Challenges is an iOS app developed by Disney that leverages ARkit. Until very recently, you had to buy a bulky headset if you wanted to play some of the games that were available for it. Now, things are changing. in addition to the changes, we see some new games being added to the lineup. One of which is holo-chess. The game made its first a brief appearance aboard the Millenium Falcon during Episode IV. You saw R2-D2 and Chewbacca play a game. You saw it again in later movies and in Star Wars games. This new game is sadly only for Apple devices at this time, but you can play on iPhone or iPad. You’re probably going to get a better experience from devices with a bigger screen, but you can use any IOS device if you just want to check it out and see how it plays. At this point in time, it feels a bit more like a novelty. It’s a great showcasing of what the technology can do and it can be a fun little momentary pastime for Star Wars fans, but it’s far from being a full-fledged game at this point. It’s not going to drag you away from SWTOR or Battlefront II, but it might give you something to do while you’re waiting to be called at the dentist. Take it for what it is and give it a go if you have an Apple device. You can download it from the iTunes store for free.